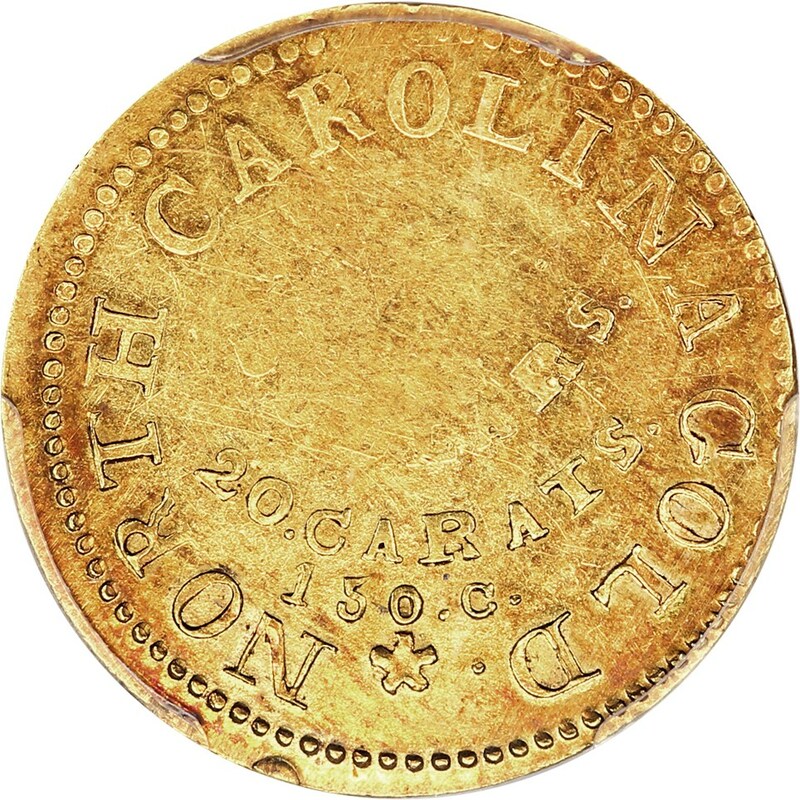 This extremely rare Bechtler $5 was struck between 1831 and 1834 in North Carolina. This variety is K-15, which is listed as Rarity-7. 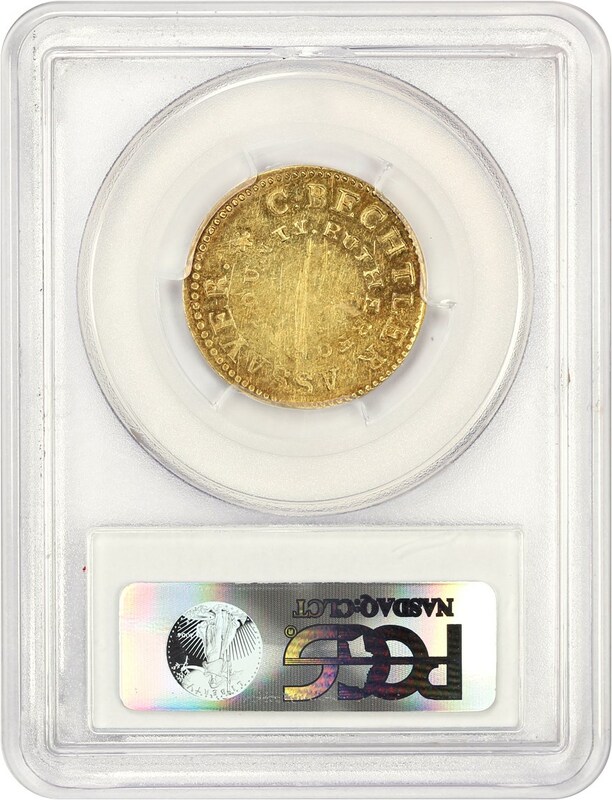 Among the finest graded examples and a variety that is not often seen! 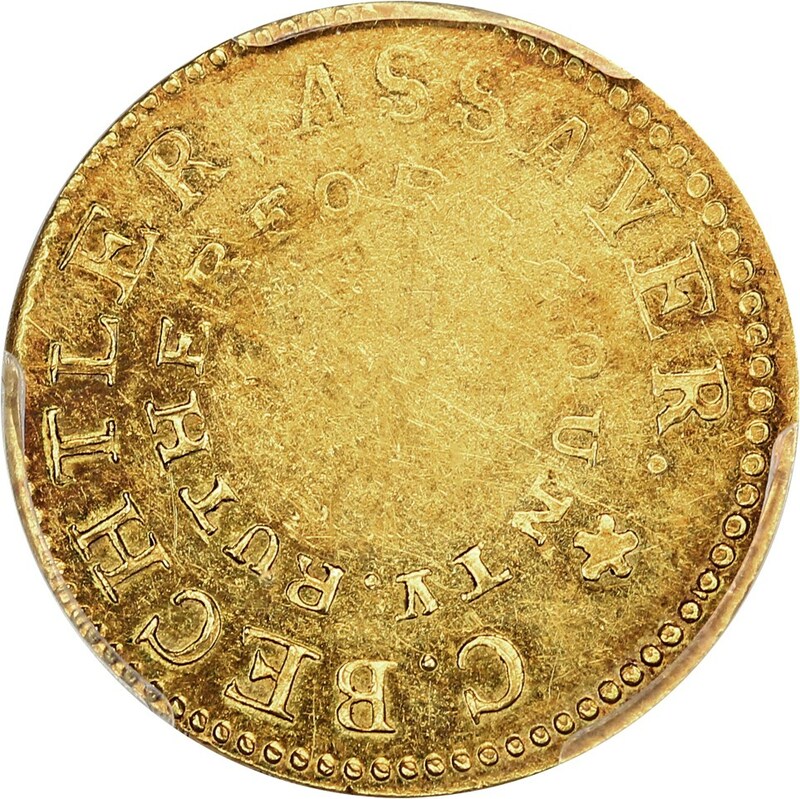 The Bechtlers were prolific in their minting of private gold coins during the first U.S. gold rush in the 1830s. 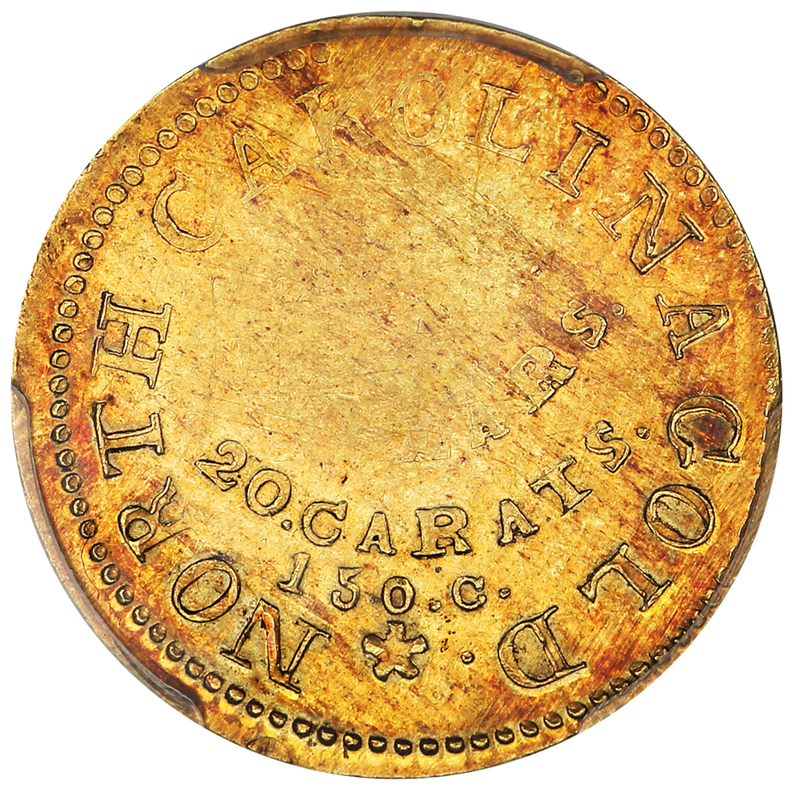 Their reputation, unlike some of the firms that came around in California, was impeccable, and even when the Federal mints at Dahlonega and Charlotte opened, the Bechtlers continued to strike coins that circulated along side their Federal counterparts. This series is among the first issues produced by the firm. 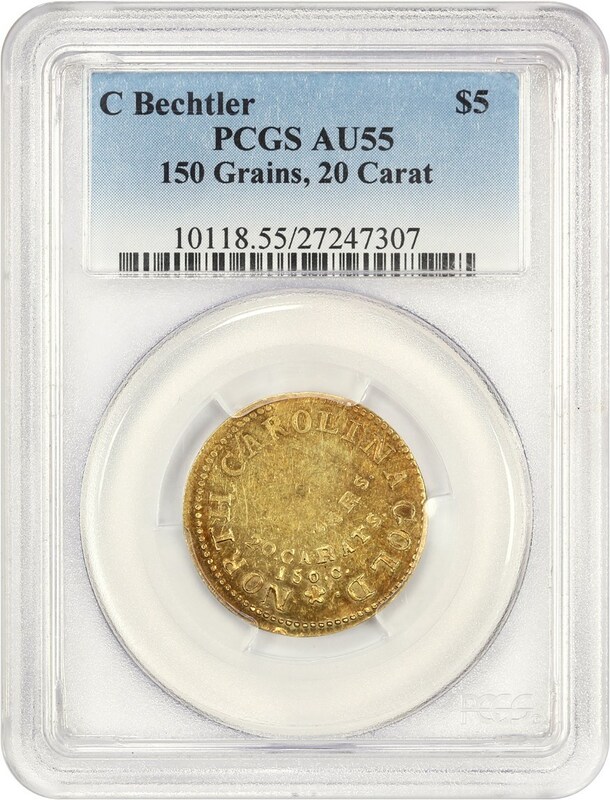 The current PCGS Price Guide value is listed at $90,000. 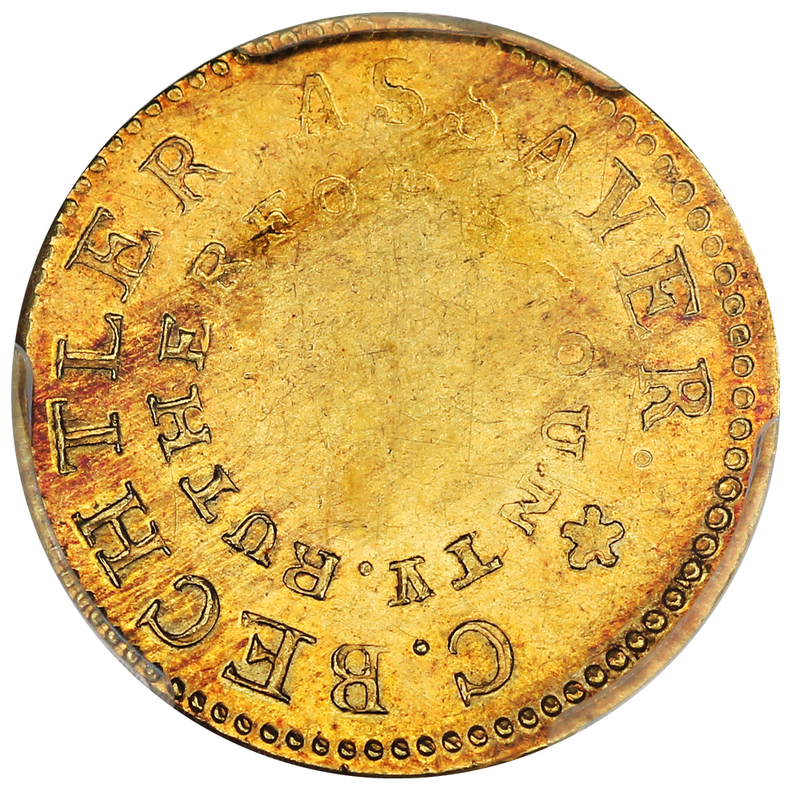 This is a major rarity in the Territorial or Pioneer series, a variety that is rarely offered in auction.